If you have not heard of the Chuck Wild that is understandable but millions of people listen to his music which he releases under the project name of Liquid Mind. His intention has been to create music that has therapeutic qualities assisting with relaxation, sleep and general well-being. He primarily uses synthesisers to build washes of sound that ease the busy mind. Chuck’s personal journey has been incredible by anyone’s standards. After a stint in the Navy he joined the band ‘Missing Persons’ and became a bona fide pop star. When that band ended he started making music for TV’s cult program ‘Max Headroom’. Tight deadlines and a vast workload led to a critical mass of stress and he knew he had to make some changes. 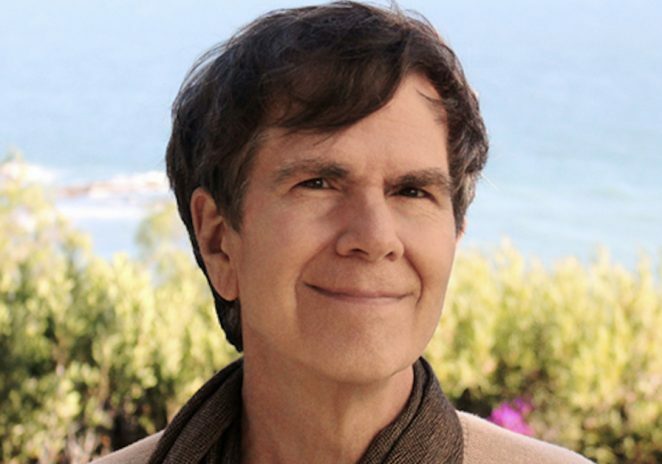 Chuck was also very aware that people in his peer group were confronting health and stress related issues so he set about using his vast musical skills to create a healing modality based around sound. He named this project Liquid Mind and since the early 90’s he has been regularly releasing albums intended to assist with mitigating the stresses of modern life. In a recent article former Journey vocalist Steve Perry talked about how he stopped doing music for many years and could only listen to Liquid Mind. Millions of listeners now enjoy and benefit from Chuck’s music. I have interviewed Chuck before and I am always struck by his humility and the insights he provides into his processes for creating music. I decided to begin this time by asking him about his equipment. Can you describe your equipment? What has led you to the gear you now use? I use about 30 synths and virtual instruments, Korg, Yamaha, Roland, Supernova, EMU, samplers, Spectrasonics. That equipment, other than a few virtual synths, hasn’t changed over the years. Liquid Mind is the only music I produce these days, and due to the nature of the music, I’m not wanting to adjust the sound landscape too far away. Can you run us through your creative process from composition to recording? I begin with a concept in mind, however that can change, and more often than not the music itself will clarify the premise of the album after a couple of months. The music is first sketched, either by hand on notation paper or through improvisation. I use a very simple sound while sketching/improvising. Most of my compositions are written in the early morning hours, 6 or 7 am, and I continue writing, sketching, and improvising over a period of 3 to 4 weeks, without any self-judgment, editing, or critique of what I’m doing. After I have 40 or more sketches, I’ll let some time pass for perspective, and then listen through to the 40 ideas. Some are 5-10 minutes long, others are only a minute or two. I pick out the ten best ideas, and wait another day. Then I re-listen to the top ten pieces and choose five or six to actually work on. If I don’t have enough that I love, I’ll return to the sketching stage, and I continue this until I’m satisfied that each and every sketch engages my imagination and spirit. I then begin the longer process of revising and rewriting, which can take nearly a week per piece for longer pieces. Rewriting is a skill I acquired while signed as a staff writer to Lorimar Telepictures/Warner Chappell music in the 80’s & 90’s, and it’s quite important. I learned that no note (or word in the case of songs) is too precious to be changed or eliminated if that alteration deepens the music’s impact. I believe good music must refresh the human spirit, so I do my best to set the bar quite high. You have also released a lot of albums now – how do you self motivate to maintain a release schedule like that? I read an article with Steve Perry where he mentioned your music as being the only stuff he could listen to for a while……can you name drop some other people we may know who have used your music? Millions of people a week listen to my music on streaming sites, and I’ve received thousands of messages and emails over the year for people who use my music for anxiety & stress relief, sleep, massage and other therapies, at work, in school, for cancer therapy periods (chemo), for pain relief, for addiction recovery etc. Do you perform Liquid Mind live at all? Do you make appearances at ‘new age’ type festivals – for example here we have one called ‘Mind/Body/Soul’ that showcases a wide range of healing modalities, music etc. I long ago made the decision not to perform the music live. Though Liquid Mind sounds quite simple, in reality it’s quite complex, there are many tracks, sometimes dozens of tracks with quiet vocals, strings, subtle textural sounds etc. As well, there is no regular rhythm, the music is zero-beat intentionally, and it’s the rhythm of my breathing, so no way to perform it in an ensemble. What has been your most “successful” LM release? Any thoughts on why? 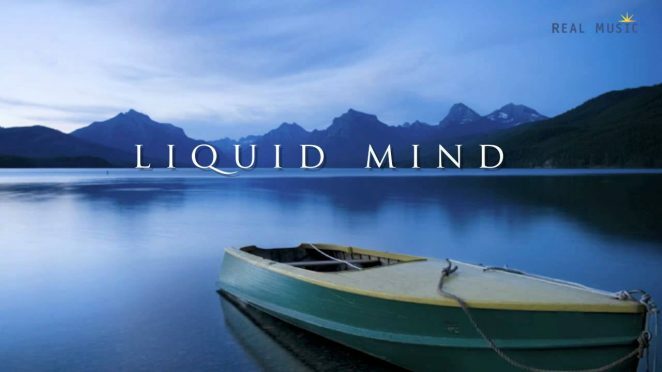 Liquid Mind is therapeutic music, success for me is helping someone who can benefit from the music. From the start in 1988, my only intention was for those who need Liquid Mind would have access to it, whether they can or cannot pay for it. To that end, I give away over 1,200 free MP3’s at my site per day on a free MP3 page, that’s about half a million tracks a year and all 15 albums are available for free on Youtube. That said, as people listen every day to Liquid Mind on streaming platforms (Pandora, Spotify, Amazon prime, Apple Music, Sirius XM, digital TV, etc), there is some income, which helps my ability to continue the music. Laptops and generic programs have made it very easy for lots of people to make music most of which is fairly unexceptional. Some see this as democratization, others as creating a glut that tends to ‘bury’ the good stuff – what are your thoughts on this? I agree it’s a challenge to bring one’s music “to the surface”, so to speak. My “best guess” answer as to how to rise up in this difficult environment would be “playlists”. Spotify and Pandora match your music to similar music, so it is possible to be heard on a playlist with similar music. I have to believe that good music will rise to the top, but I agree it’s challenging. It took me ten years to be able to support myself with Liquid Mind, and I was doing studio work and running a small studio in Hollywood in the mean time. At age 72, I’d advise any newcomers to be in it for the “long haul” if you do instrumental music. Pop music can rise (and fall) quickly, but non-pop genres like jazz, classical and other niches are more enduring. it’s quite possible to have a long career in those genres which include live performance. We now have endless online platforms for the dissemination of music, most of which seem to make it tough for artists to get payment……what are your thoughts on the state of play with what the internet offers artists? In the US, especially with passage of the MMA Music Modernization Act, fair payments are getting easier and easier to receive. SoundExchange.com is perhaps the most important organization in the world for artists to receive direct payments for digital airplay. What are your goals for LM moving forward? To expand the healing/therapeutic reach into more hospitals, healthcare facilities, etc. The music is already on dozens of sites for sale, for streaming, and for free, so I’m focusing more and more on access within healthcare institutions. I’m surprised and quite grateful that Liquid Mind music, which I started making for my own healing 30 years ago, has now found acceptance in so many areas, and is helping folks. I’m in my 70’s now, and leaving the world a better place is what’s important to me.